🙂 Yes its really a good horror read. I won Dracula novel out of a competition organized by Sunday Times, Sri Lanka. I read the novel twice. It is that interesting. The way you brings back the memories of Dracula is entertaining. Oh! Congrats on winning the competition. Yes! Its interesting read. Thanks for stopping by and sharing your opinion. I watched this movie. I liked it very much & the concept, imagination parts were very good. Yes.. It is different concept compared to other vampire movies! I LOVEEEE Dracula. So much better than anything being offered to us today in the way of vampire lore…except for the series by Guillermo del Toro (the first book is the Strain)…vampires are supposed to be scary. Period. I tried watching the Francis Ford Coppola film, but I just couldn’t deal with it. He’s a famous director and all, but sheesh it was just kind of bad in my opinion. I’ve seen a ballet production of Dracula that was just fabulous as well. I read Dracula as a teenager. My room was on the far wing of the house, with a sliding door opening onto the porch, and the book scared me enough to get a clove of garlic to rub around the door frame each night. I sharpened a piece of a tree branch and kept it on my nightstand. I don’t think I’ve ever read a more frightening book, though several by Stephen King come close in creepiness. I agree with you on the glut of vampire romance novels. I cannot read them. You might want to check out a blog post I wrote, “Back when vampires were vampires,” ( http://wp.me/pYql4-1qA ), where I talked about several classic vampire movies. I do think Nosferatu captures the frightening nature of Bram Stoker, and I have also found Carl Dreyer’s, 1932 movie, “Vampyr,” very eerie too, though I agree with several other bloggers, that it doesn’t really have much of a plot. Great post about a great book. Thanks! I will definitely check your blog post. I completely understand why you kept garlic cloves becuase I experienced nightmares after reading the book. May be I could have done the same thing as a teenager 🙂 I know how scary it is! I agree completely with the above comments about vampires should be scary! 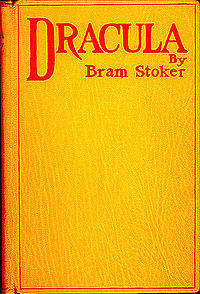 I love Bram Stoker’s Dracula. I liked the book being written as a series of letters and diary entries, it made it seem all the more real, and thus scarier. I have not heard of the Guillermo del Toro series. I’ve really liked several of his movies and will definitely check out the books. If you have not read any other old Gothic novels and you enjoyed this one, you should check out some others. Some have romance, some don’t, but all are scary and creepy in a way that vampire lore novels of today don’t do. Yes true! Today’s vampire novels are boring with same concept. 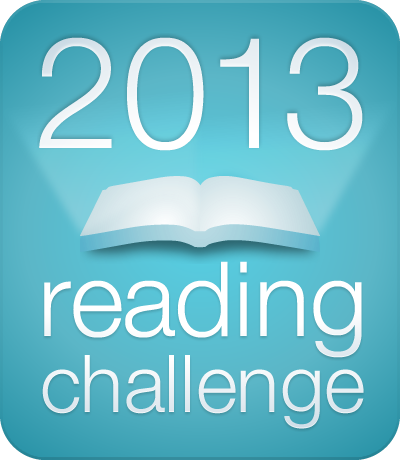 I will definitely read some old, Vampire and Gothic novels. Thanks for sharing your view. Meant to say – thank you for liking my photos at gallerycatsandhens!